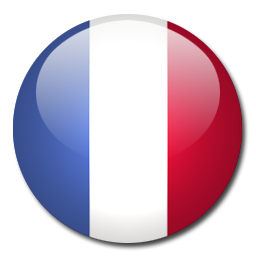 If something here sounds vaguely familiar, then you’ve already experienced a conflictual escalation. It’s hard to imagine that either person has ‘won’ in this exchange, so the emotional result would be considered ‘lose-lose’. As you progress, and with the exercises in the book, you will start to see many opportunities for this type of exchange to take a different direction, and how one of the keys to changing a habitual style of response is recognizing the sliding point – that moment when we start sliding from one state of being to another. Once we discover this space between the stimulus we receive, and our reaction to the stimulus, we then have only to wait for opportunities to experiment with how we manage this space. Let me give a few illustrations of this concept. I used to get angry when I lost my things; my wallet, my keys, my glasses and so on. Once I got so angry at myself that I kicked the wall in frustration, and really hurt my big toe! A little later my pain forced me to review what had happened, and I decided that I didn’t want to ‘go down that road’ again. Coming to the conclusion that no loss was worth making a situation twice as painful, I reasoned that interrupting the process earlier, would enable me to change my reaction so as never to get a sore toe again. Inevitably there was a next time. I couldn’t find my keys and got angry again, and I was just about to kick the wall, when I remembered my goal and interrupted my reaction in time to keep my toes and the wall intact. Even though the chain reaction had started, I had managed to stop it before letting it result in physical pain. Reviewing the situation I realized that not only did I want to avoid hurting myself again, I didn’t really want to get angry. Seeing that I had been able to interrupt the ‘wall kicking’, I thought it might also be possible to interrupt the anger being triggered. This wasn’t so easy. Although I never kicked a wall again, it was a while before my habit of getting frustrated about losing my things disappeared. I had managed to stop the self-inflicted physical pain, but the self-inflicted emotional distress needed a lot more work. Over time, and with the persistent intention to interrupt my anger earlier and earlier, I got more and more consciously aware of that sliding point. After realizing that I could change my habitual reaction to progressively reduce the amount of negative charge, I finally reached the desired reaction a couple of months later when, upon losing my glasses I was able to immediately react with a positive discharge. The process starts with the decision to avoid going down a certain road again, and the belief that other choices are possible. When an exchange or event leaves us feeling negatively charged, realizing that we have the choice to react differently to the stimulus is a step in a positive direction. Desiring to make the effort to change is the next one. Sometimes we wait until it gets too painful before we decide to change something, as with the ‘toe-meets-wall’ story. Thankfully we have the ability to decide to make a change before reaching such extremities, or worse! 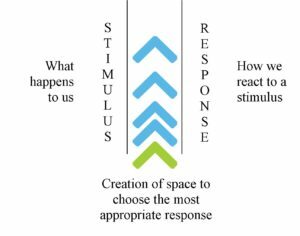 Once we discover this space between stimulus and response, it may in fact take some time to decide what we want to insert into this gap! In the case of verbal conflict, Verbal Aikido is just one of many options that we have as a response to deal with such a situation. However, the phenomenon that occurs once we start to perceive this space is quite magical. The gap seems to get bigger, almost like time slowing down, giving us a real opportunity to choose how we’re going to act. Moreover, a particularly beneficial side effect of developing this awareness is that the frequency of the disturbing event tends to lessen considerably. I used to be afraid of falling. I didn’t really realize it until I was in the country picking cherries and found myself immobilized on a ladder. The very next day I was trekking with my brother and, hesitating to jump off a country wall about a meter high, I slipped and fell; hurting myself pretty badly in fact. This event pushed me to deal with my fear, so I started a sport where I knew I would inevitably fall. The first time I fell, I didn’t really hurt myself but the ground was wet and I got my top pretty soiled. The second time I fell, I remember thinking “avoid the dirt!” and managed to anticipate the fall so that I kept my jersey clean! 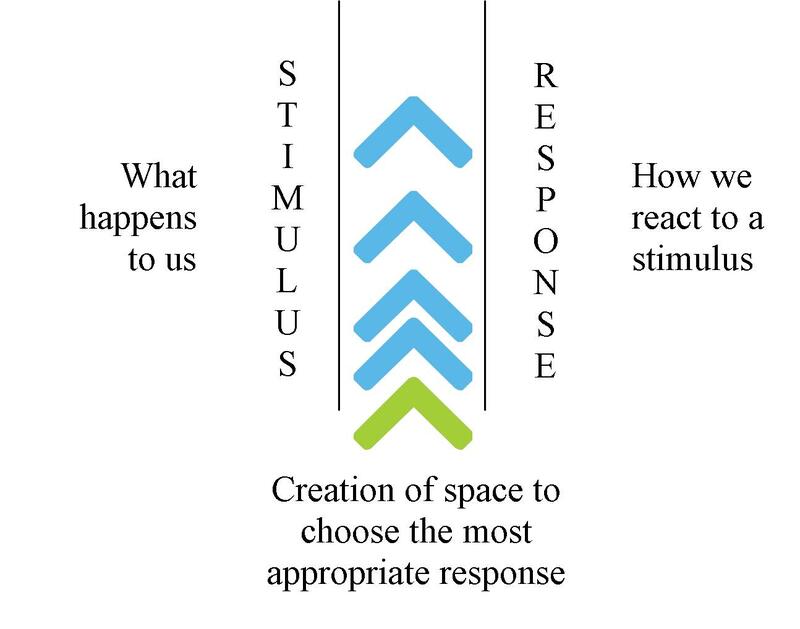 The space between stimulus and response had started to grow. Now that I had a clear desire to change the result, I was given enough time to react differently. Quickly I got better at falling, but more importantly, the ‘side-effect’ appeared – I fell a lot less frequently. This Virtuous Spiral Phenomenon is very apparent when people start Verbal Aikido training to become a green belt. They often start the training in order to deal with certain situations that they feel uncomfortable handling. The sessions often begin with the participants sharing the difficulties they have been experiencing. Once the novices start to become comfortable with the use of the Three Steps, not only do they start dealing with the situations better, but there are notably less and less of these uncomfortable situations that arise.